Only one year after Willy Herrera introduced his first Drew Estate cigar, the classic Cuban-inspired Herrera Esteli, Willy has returned with a new, dark, and full-bodied offering. 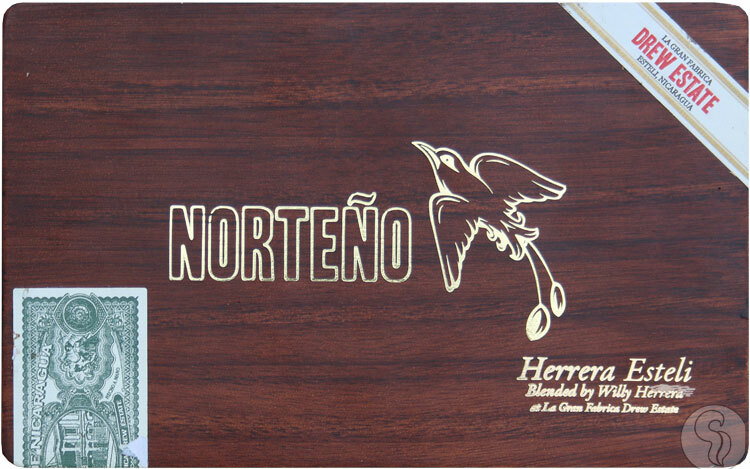 Introducing the Herrera Esteli Norteño, a completely new blend created by Drew Estate's Master Blender Willy Herrera. Spanish for 'northern', Norteño is a term used by the Nicaraguans to describe the northern Esteli residents - as well as Herrera himself, coming from Miami, FL. The Herrera Esteli Norteño uses some of the choicest tobacco available, consisting of specially-aged filler tobaccos from Esteli and Jalapa, Nicaragua, a spicy Honduran binder, and a dark, lush, Mexican San Andreas maduro wrapper. The Norteño explodes with a full-flavored profile from first light, continuing to evolve throughout; showing complex flavors of roasted coffee beans, toffee candy, salt, cocoa, and toasted marshmallows.